Education – At its heart, IDF has always been a show for developers to gain knowledge and learn about upcoming Intel technologies. Want to hear from executives on direction for the company? CEO Brian Krzanich (@BKRunner) kicks off IDF with a keynote on day one. And on day two, the head of the Data Center Group, Diane Bryant (@DianeBryant), will discuss the future of the data center and cloud infrastructure. If I had to guess, I’d say to check out these keynotes for some major announcements. If deep technical info is where your heart lies, we’ve prepped technical sessions, labs, and tech chats (think posters) covering analytics, cloud, and network transformation to keep you satisfied. Deep Dive on Artificial Intelligence (AI) and Analytics – AI is one of the fastest growing workloads for the data center. If you want to get up to speed, attend Intel Fellow, Pradeep Dubey’s, Technical Insight on “Scaling to Meet the Growing Needs of Artificial Intelligence (AI)”. If you’re on the business side, we’ve got a panel featuring customers talking about how they’ve put analytics and machine learning into practice: Advanced Analytics – Trends, Challenges, Opportunities. 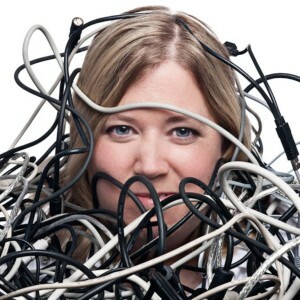 We’ve also got an analytics technical track with 15+ sessions, labs and tech chats. And to see the technology in action, there’s an AI Community in the technology showcase with 8 partner showcasing their compelling solutions, as well as 11 analytics demos in the Intel Pavilion (a new feature of this year’s show). And last, but definitely not least, we’re even hosting a special Analytics Summit the day before IDF for data scientists featuring panels, customer talks, and round tables. 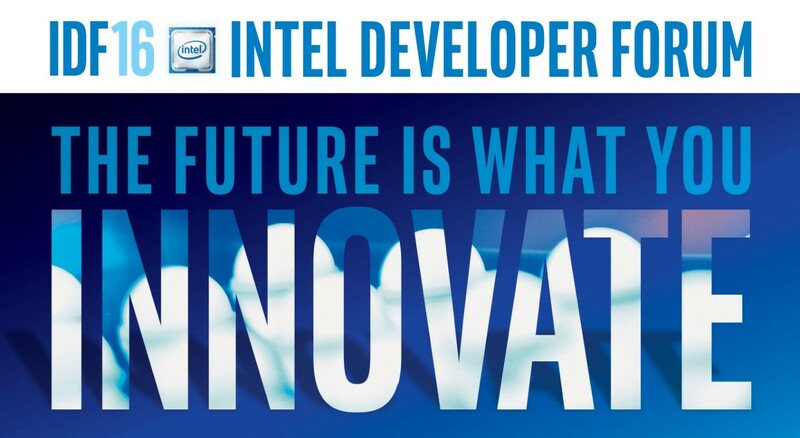 Cloud for All Y’all – The SDI teams are getting started early with an Intel® Builders Summit the day before IDF. They’re hosting Builders members across cloud, network, and storage to look at new technologies driving orchestration and optimization, the security challenges data centers are facing today, as well as looking at what is possible with a vibrant ecosystem of partners. If you’re missing that event, Das Kamhout (@DKamhout) and Brian Womack are presenting a technical insight on “Evolving Data Center Infrastructure: Intelligent and Software Defined,” which is sure to be standing room only. The rest of the technical sessions in the SDI track cover everything from OpenStack* to Intel® Rack Scale Design, as well as a panel on Intel® Silicon Photonics. In the showcase, the Intel® Builders community (the largest of the show) is bringing 26 partner demos as well as 19 demos in the Intel Pavilion. Meet the Experts – Stop by the Intel Builders community and talk to an expert wearing an “Intel Builders Expert” button. Maybe ask them about their technology demo! One convo (and a free drink) and you’ll get an entry form to win a cool raffle prize on day three. Live Data Center Q&A – Get some drinks on day two as we take over the “Networking Plaza” for live Q&A with Intel execs and third party experts. Join us on 8/17 from 4 – 7 for a beer. AI, Intel® Builders, Memory and NVM Express* Technology communities – Check out these communities to see cutting edge demos and learn about the future of data center technology. IDF Next Wave meet up – Interested in emerging data center technologies? Are you a developer? We’ve got the meet up for you! It’s on Tuesday (8/16) and attendees will eat, drink, and talk telemetry, scheduling and orchestration. The Intel team will be there, along with industry influencers Kelsey Hightower and Ashley McNamara. Use the password INTEL to RSVP here if you’re interested. Staying connected – You’ve read this far, but you’re not going to IDF. 1. Why not? 2. Doesn’t matter, you can follow along with a video of the keynotes, our live Chip Chat podcasts, live Periscope videos, Tweeting, and a host of IT Peer Network blogs. You’ll feel like you’re at the show. Just don’t forget to follow @IntelITCenter and to use the hashtag #IDF16 and/or #IntelDC if you want to talk to us! And number 5 ½: FUN – Kick back in our Data Center Experience Zone in the concourse area on floor two. In the DC Experience Zone attendees can see how Intel data center technologies are revolutionizing music, sports, entertainment and gaming. Experience live music in immersive 360 degree virtual reality or interact with sporting events in new ways. And while you wait for your turn in the Experience Zone, play featured daily Data Center Pentathlon games to receive a t-shirt. Top pentathlon competitors will have the chance to compete in the Masters Challenge on IDF day 3 for prize packages totaling up to $10,000 in value. $10,000 is pretty cool, right? Whew, that was quite the run down. See you next week at #IDF16!